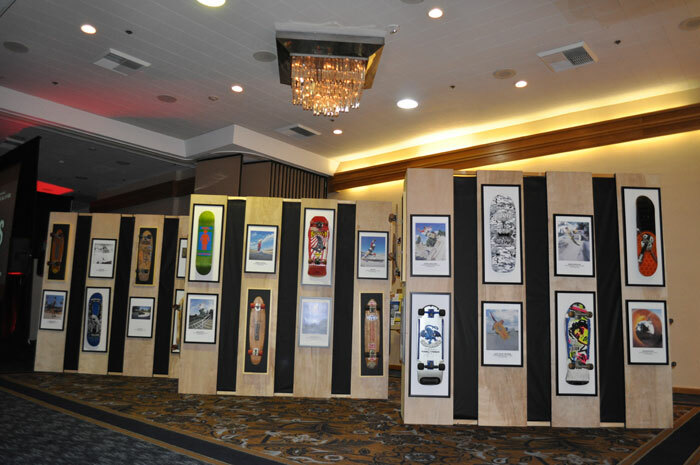 All proceeds benefit the not-for-profit efforts of the Skateboarding Hall of Fame and the Go Skateboarding Foundation's Just One Board Initiative. "I've always been terrified of holding on to trophies and things because they sit around and collect dust and I'm thinking one day I'll become attached to that and that's what will happen to my dreams," said Rodney Mullen during his acceptance speech. 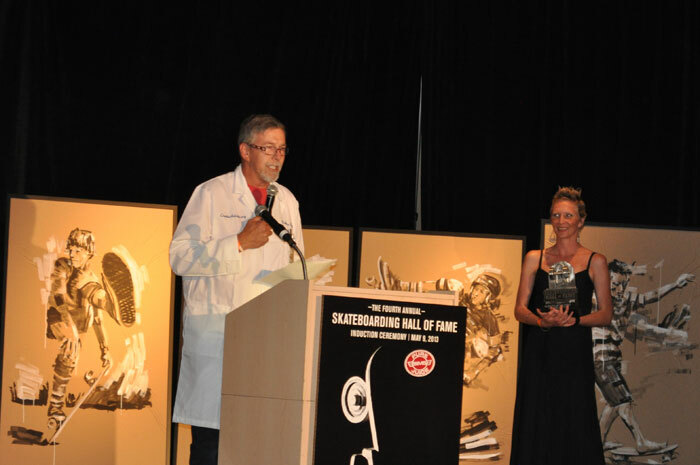 "Now that I'm here - the Hall of Fame, what is that? We have this connection, a deep drive that perpetuates us and allows us to define ourselves by what we do and we can create this community that has a distinctiveness of it's own. 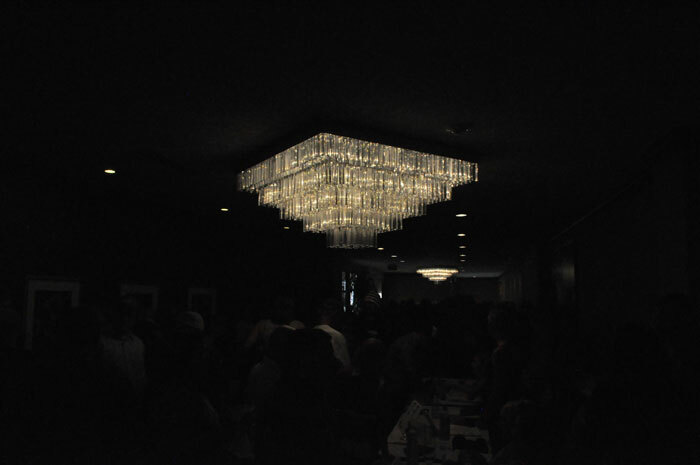 And that imbues us with a kind of dignity that we can't find elsewhere." 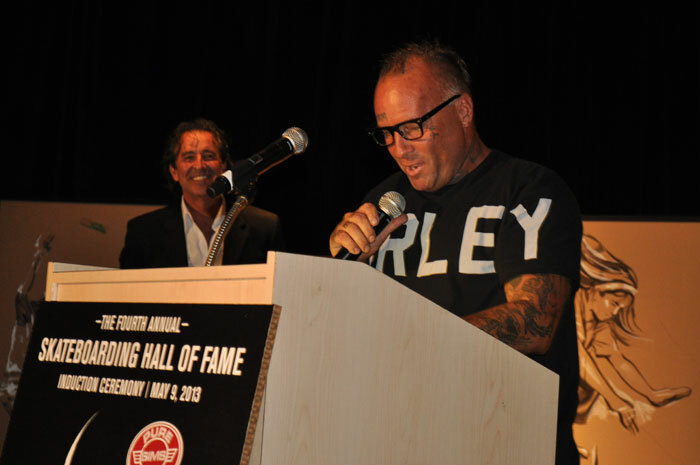 Enjoy these photos of the 2013 Skateboarding Hall of Fame Induction Ceremony Awards, held at the Sheraton Park Hotel in Anaheim, Calif. on May 9, 2013. 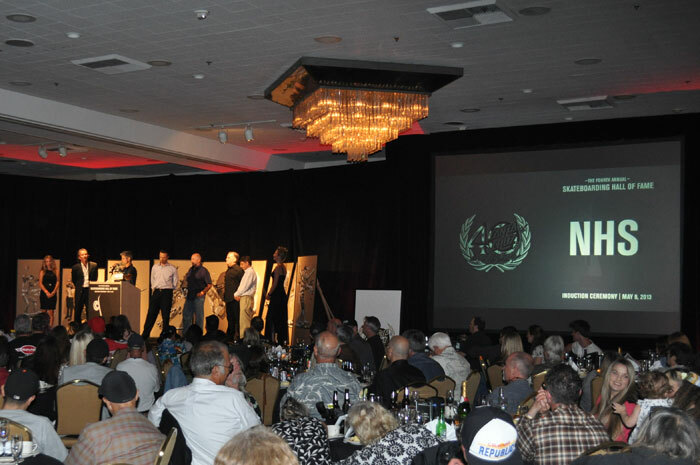 And be sure to mark your calendar for the 5th Annual Awards in 2014, with dates soon to come! 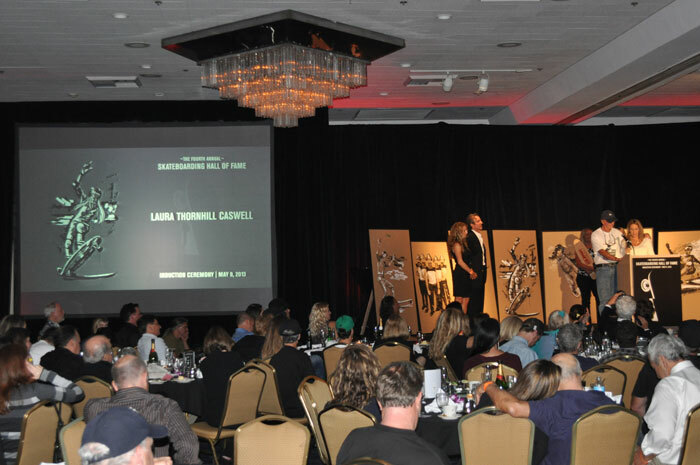 The IASC and the International Skateboarding Hall of Fame hosted a sold-out crowd after day 1 of the Skateboarding Summit to honor 3 Icons and 7 new Hall of Fame Inductees. 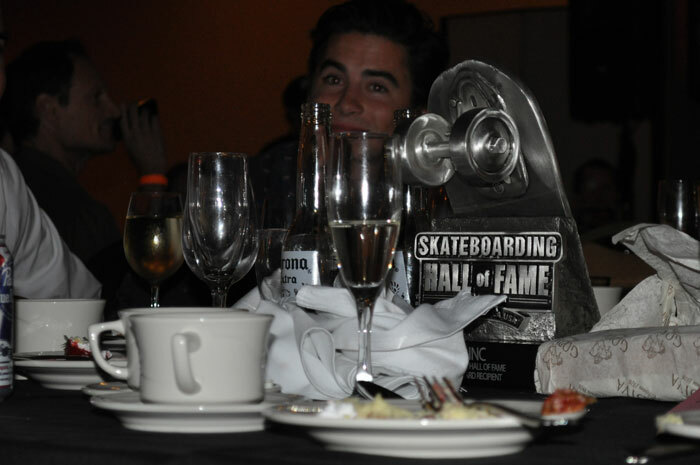 Darrren Navarette getting antsy in anticipation of a legendary night at the 4th Annual Skateboarding Hall of Fame Induction ceremony. 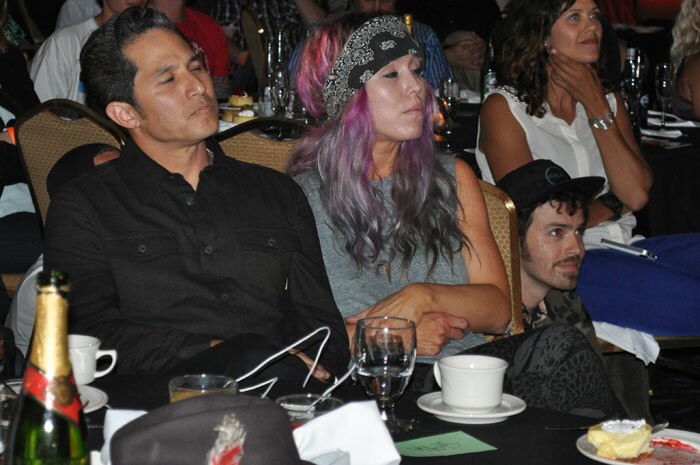 The ever-elusive Christian Hosoi before the ceremony. 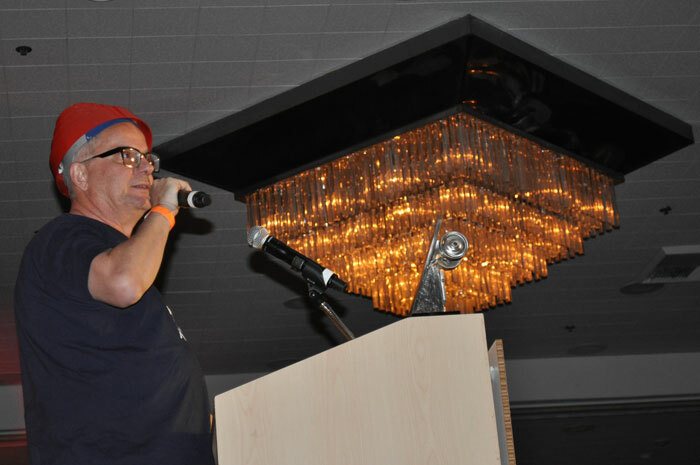 The legendary Dave "HACKMAN" Hackett mc'd this year's Induction ceremony. 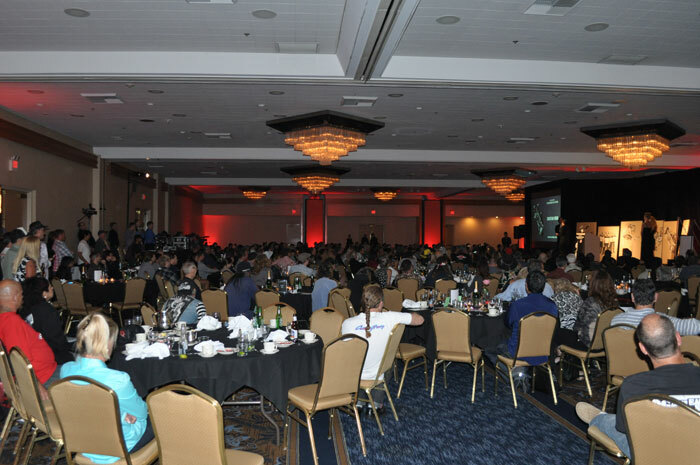 A packed house crammed into this year’s sold out event over 400+. 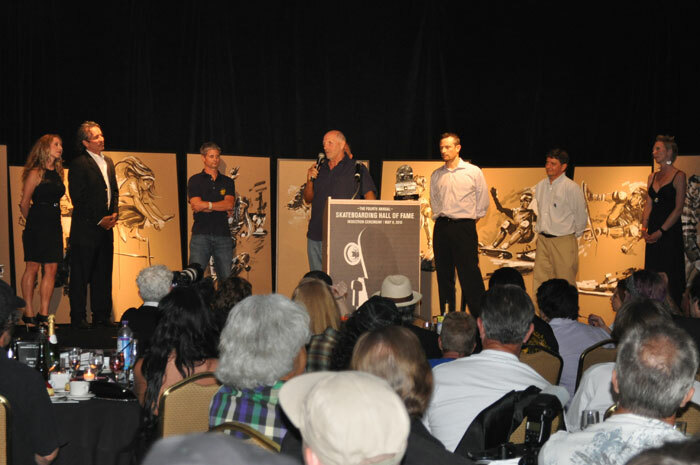 NHS founder and owner Richard Novak receiving the Icon Award. 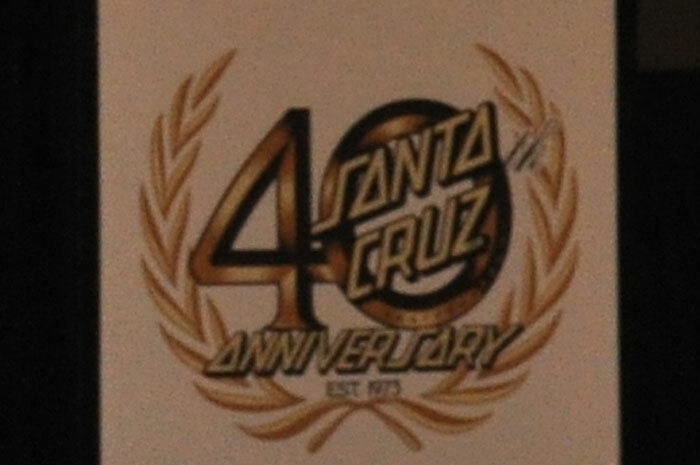 NHS, Inc. celebrating 40 years. The NHS crew on stage. 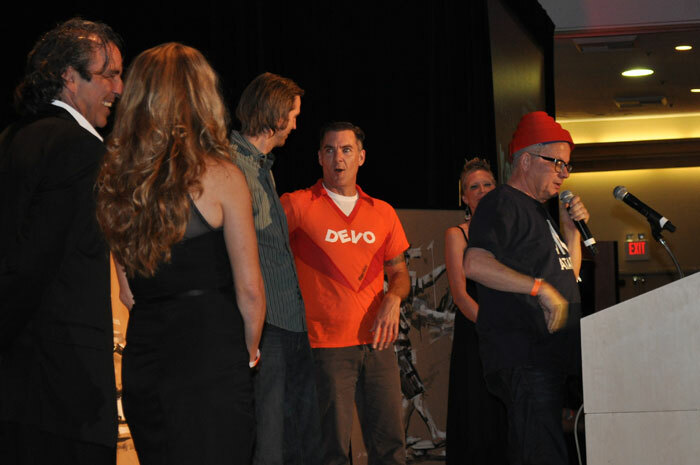 Devo accepting their Icon award. A standing room only crowd. 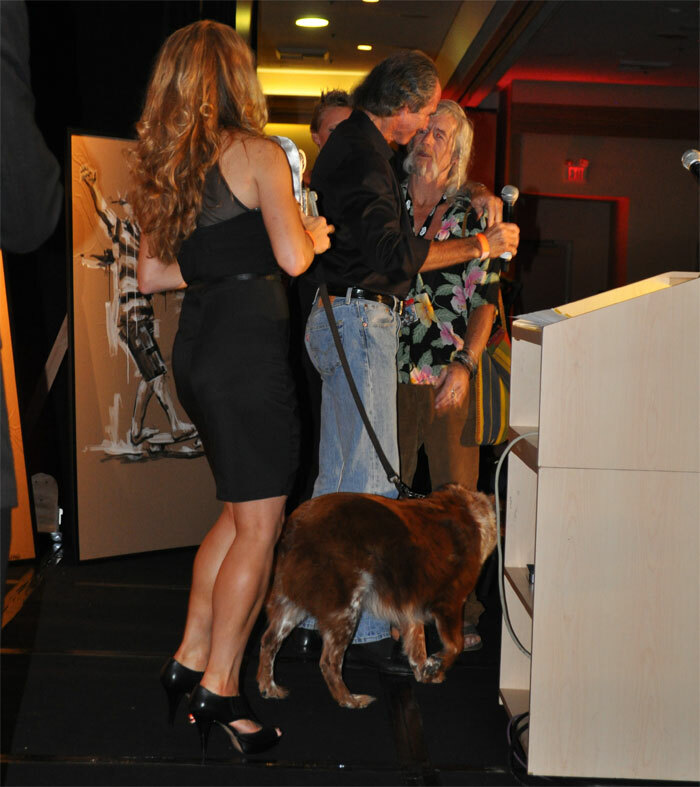 Woody Woodward and a pal accepting his award. Woody is considered by some to be the king of modern skateboarding. "I would practice every day after school for hours learning new tricks." 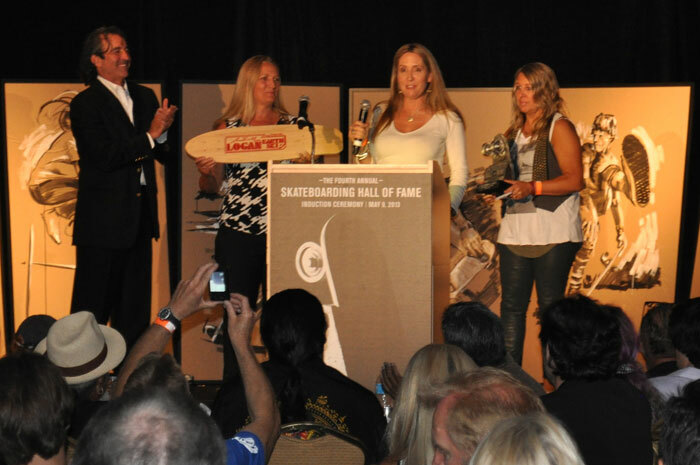 Former Sims' team riders including Jay Adams and Christian Hosoi on stage to accept the award for the late Tom Sims. Paul Schmitt detailing the importance of Alan "Ollie" Gelfand's invention, the Ollie! 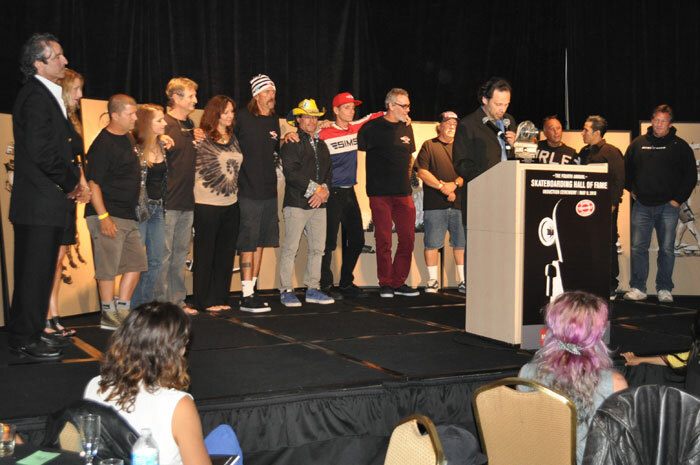 Steve Caballero on stage to introduce the legendary Rodney Mullen. Rodney Mullen, soaking it all in. Ben Harper joined in: "I wanted to say how honored I am to be in this room tonight...I don't think it would surprise anybody in this room if I told you that Rodney had invented chess." "He's as soulful a human as he is a skater." 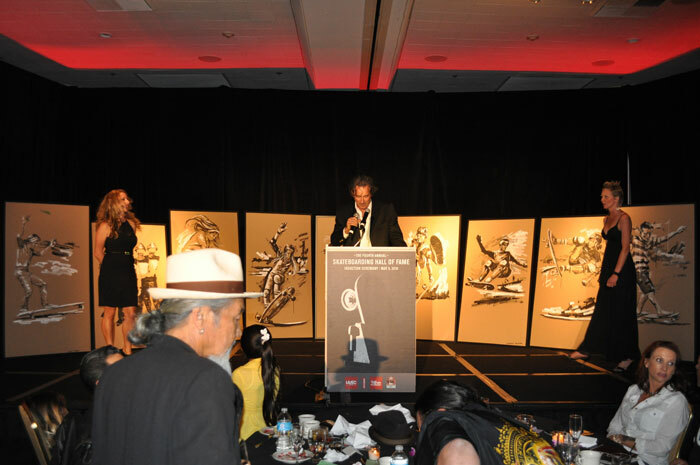 Pastor Christian Hosoi accepting his award. 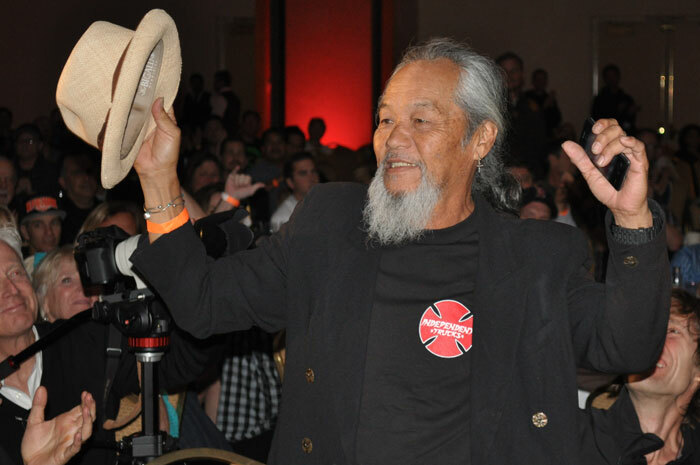 Christian's father, Ivan "Pops" Hosoi. One of the most influential skateboarders of all time. The trophies this year weighed about 20 pounds each. Another look at the sold out crowd. 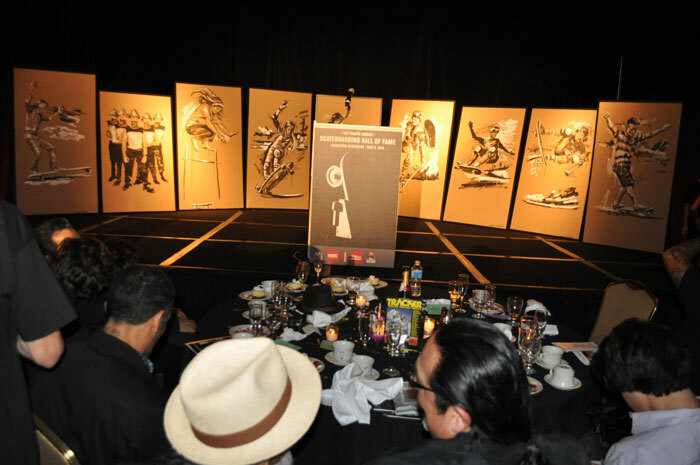 The Hall of Fame Awards gives fans the chance to rub elbows with their icons. We're on Instagram too - follow us @malakyecareers! 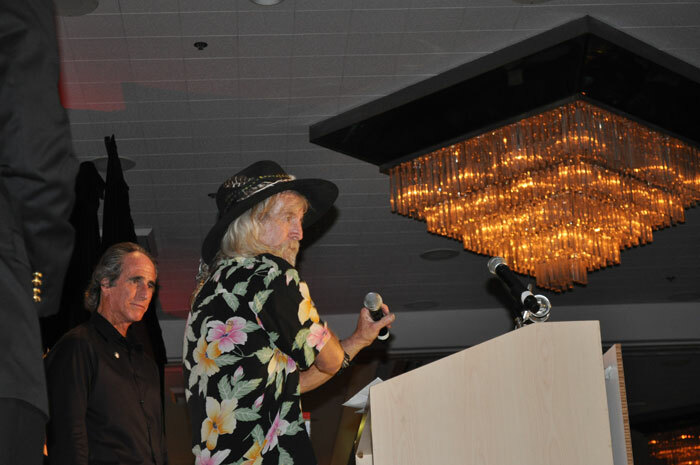 Larry Balma of Transworld SKATEboarding and Tracker Trucks fame. 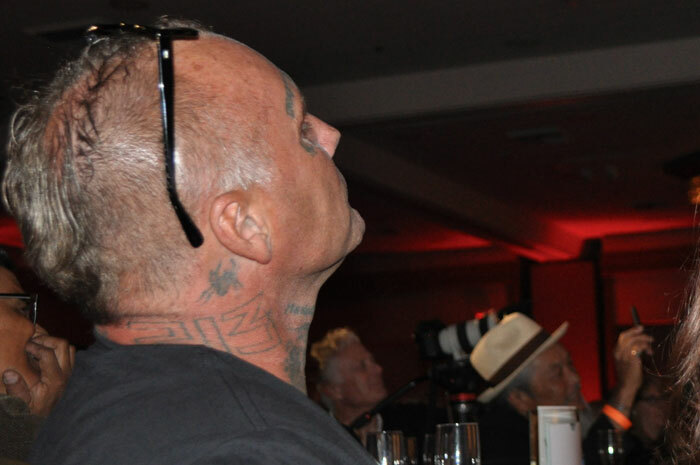 Steve Caballero chatting with Steve Van Doren. Craig Stecyk and Jeff Ho, legends. And that's a wrap, good night from the OC!